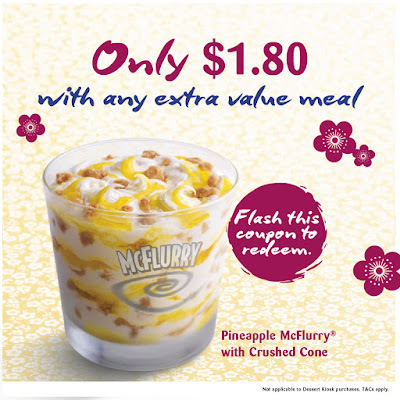 They definitely over emphasise the pineapple here! 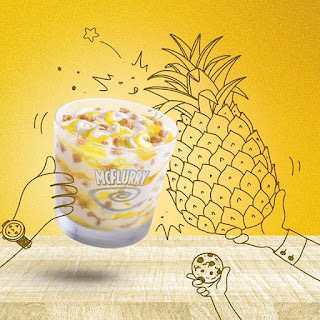 The Pineapple Cookie Crumble McFlurry was a limited time McFlurry sold in Singapore alongside their Prosperity Burger run in early 2016. Now Pineapple is a recurring theme at McDonald's Singapore. 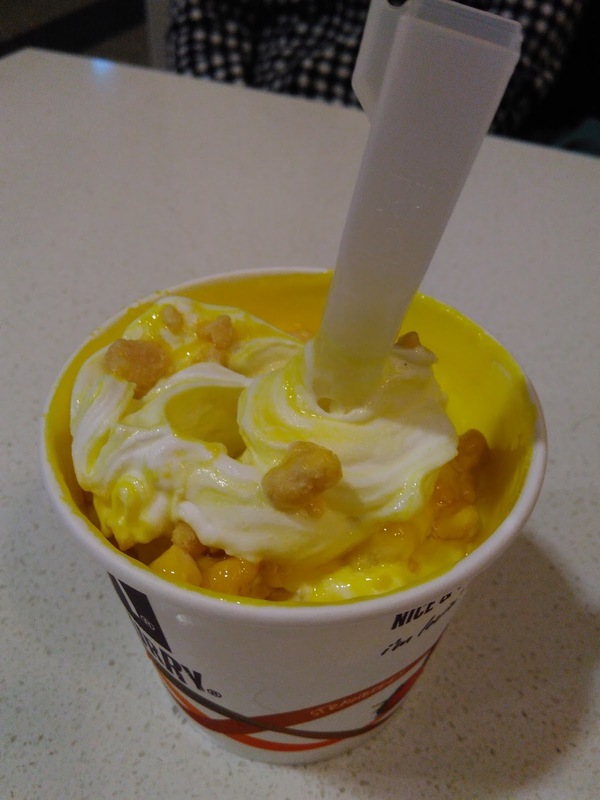 They've had a "standard" Pineapple McFlurries before, they've also had a range of pies from standard Pineapple, to the more recent Mango Pineapple. They've even topped burgers with pineapple before. The Pineapple Cookie Crumble McFlurry sounded promising after the latest Mocha and Speculoos McFlurry late last year, so I decided to give it a try. 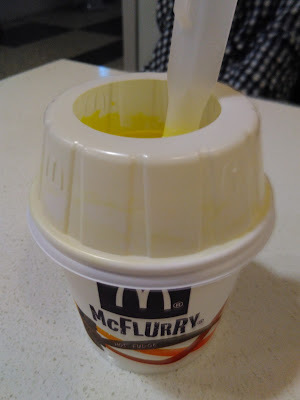 In fact, I actually entered to Singapore specifically to try this McFlurry. 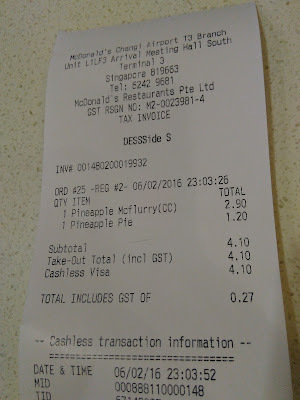 The Wife and I were transiting in Changi Airport en route to Japan and the McDonald's inside the transit area (Terminal 2) didn't sell this, so we cleared immigration just so we could visit one of the two McDonald's in the public area. It was sold out in at the branch in Terminal 2, so we took the train over to Terminal 3 where we were finally lucky enough to find it. 1x1cm biscuit chunks & a bit on the "scary yellow" side. 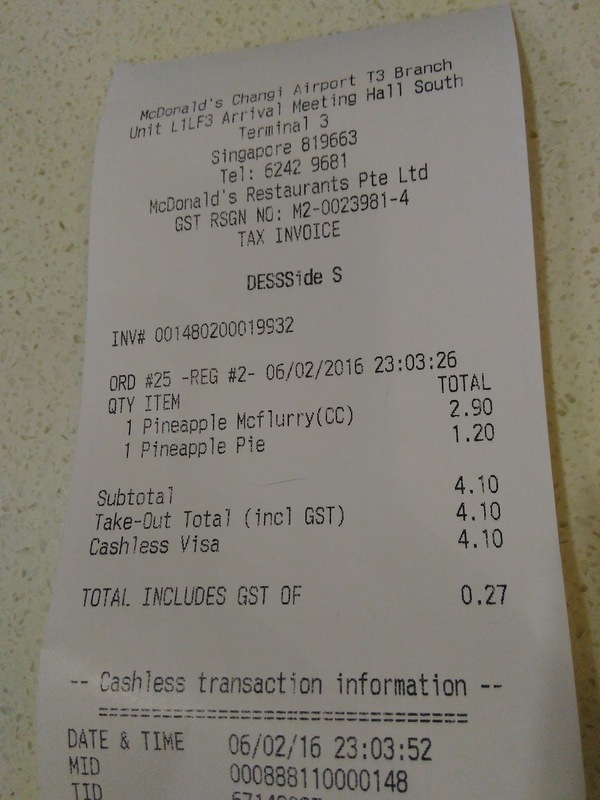 The pineapple syrup was quite honestly better than expected. 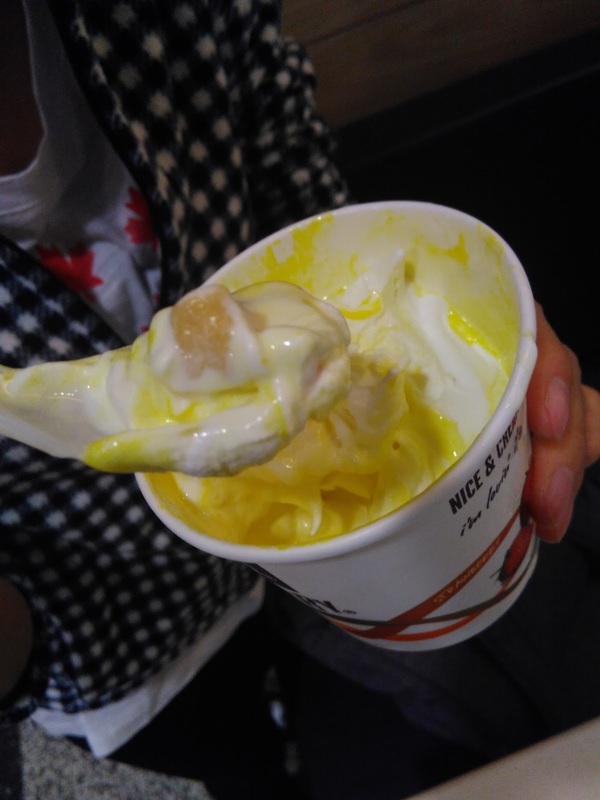 I'm not typically a fan of pineapple flavoured anything, but this had an thicker than usually syrup tasted less like fake pineapple and more like lemon gummy bears with maybe a bit of bubblegum mixed in for good measure. If it was simply that syrup, it probably would have been a 3.5/5, but the addition of some excellent chunks of buttery biscuits really made this McFlurry one of the better flavours I've had in a long time. Not only were the cookie chunks big, and made of actual decent cookie, but I was served with a huge serving, which meant that the cookie pieces made it in nearly every bite. To be completely honest, we had expected to only try a couple bites each for the sake of this review but we finished the entire cup even though it was almost midnight. 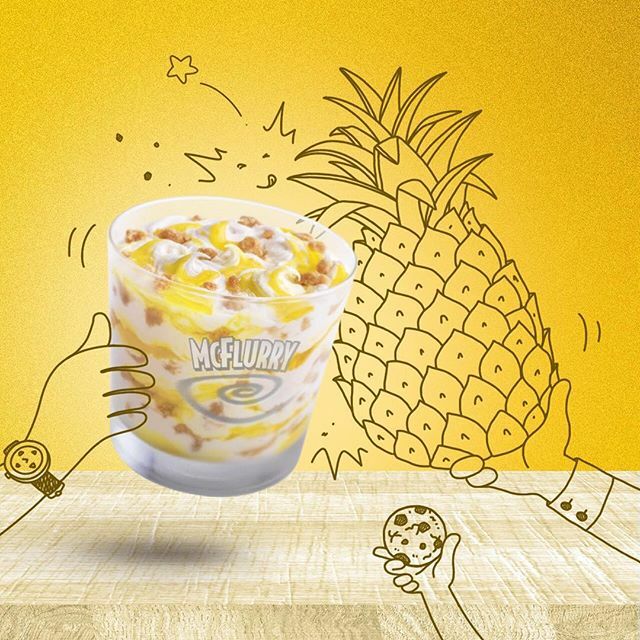 In all the promotional imagery McDonald's Singapore used to promote this McFlurry they were heavy on the pineapple, and if you didn't look closely you wouldn't notice the biscuits inside, but they were definitely the star of this McFlurry. I have a feeling more than a few pineapple haters missed out on this gem.